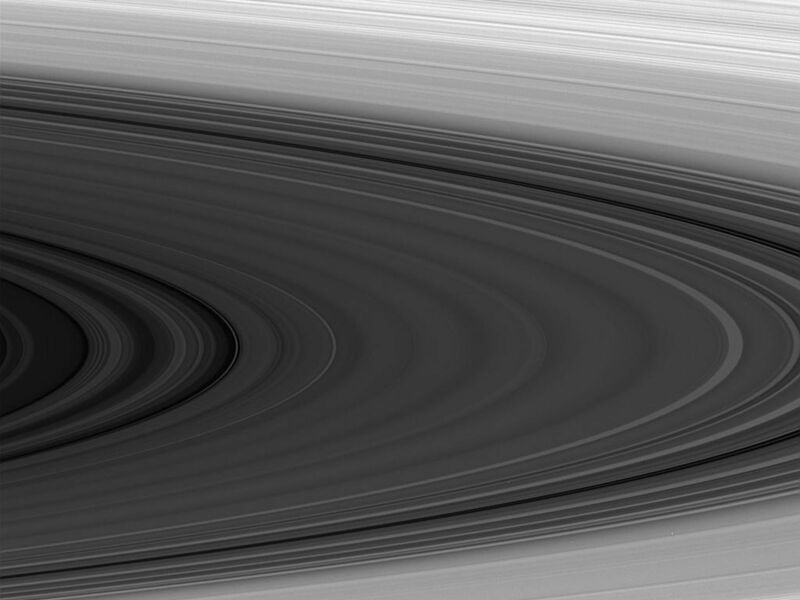 The sunlit face of Saturn's rings shows magnificent detail in this image taken in near infrared light. Most notable is the transition in brightness toward the outer edges of the image, due to differences in composition and ring particle density. 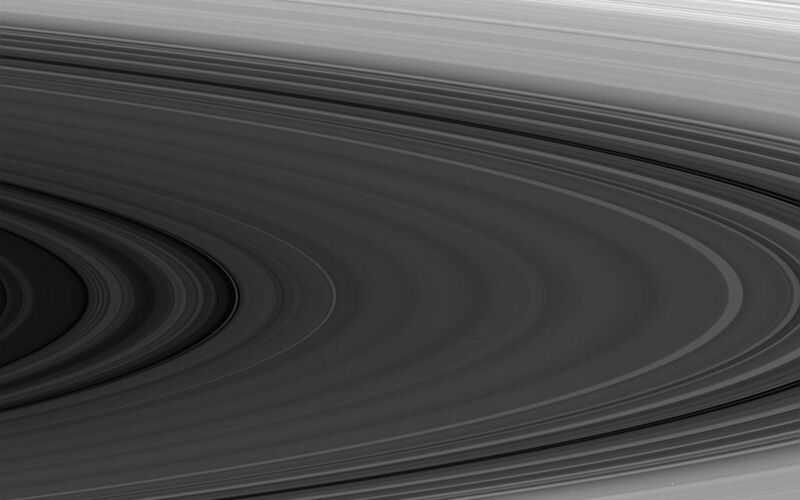 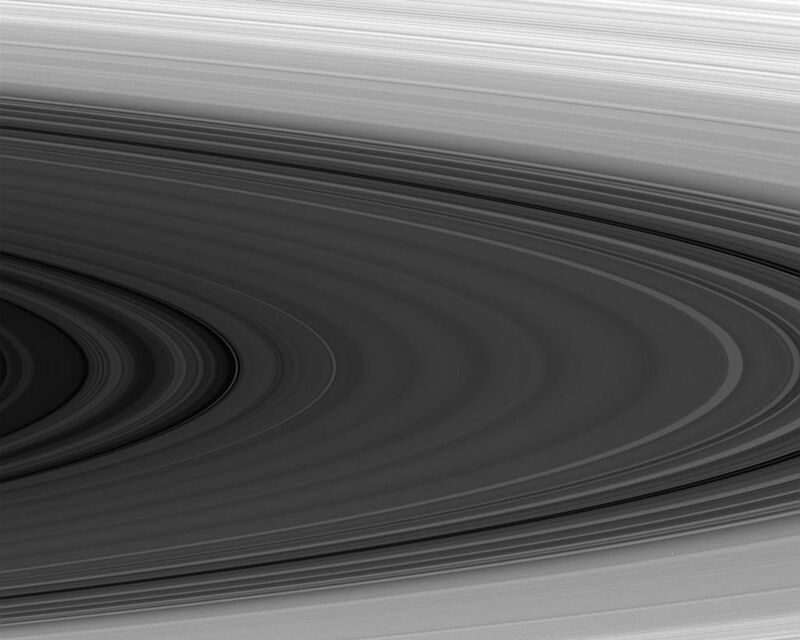 The image was obtained from Cassini's vantage point beneath the ring plane. The image was taken with the Cassini spacecraft narrow angle camera on Dec. 12, 2004, at a distance of 1.8 million kilometers (1.1 million miles) from Saturn, through a broadband filter sensitive to wavelengths of infrared light centered at 862 nanometers. 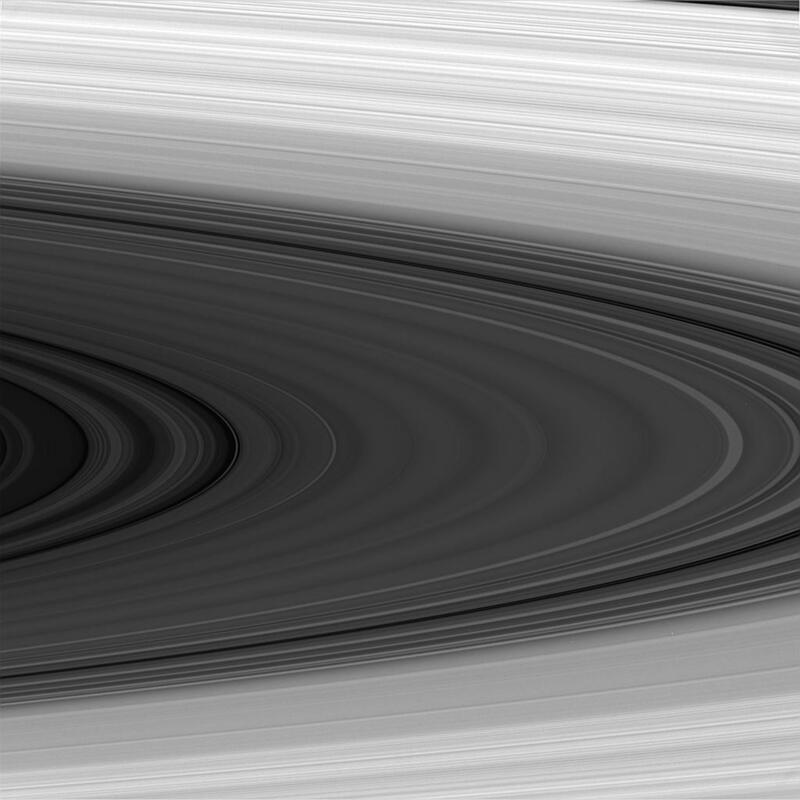 The image scale is about 11 kilometers (7 miles) per pixel.